Although not confirmed, as yet, by either of Burnley or Chelsea, it has been reported that, as expected, striker Patrick Bamford has been recalled by the blues and could be set for a fourth Premier League loan at Middlesbrough. 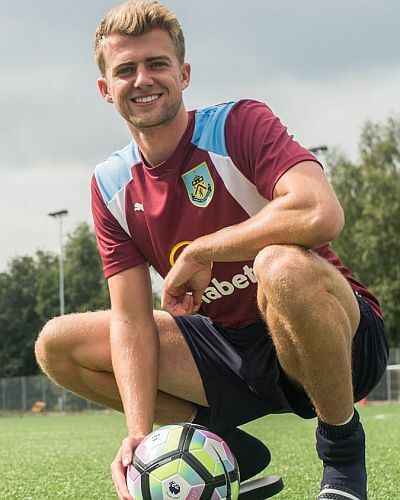 Bamford arrived at Burnley in late August, just a couple of days after our defeat at Chelsea, on a season long loan. He’d spent last season out on Premier League loans with Crystal Palace and Norwich with little success despite having scored goals aplenty previously in League One and the Championship. His goalscoring record in the Championship is outstanding and he was the player of the year in the league in 2014/15 due to his goalscoring exploits at Middlesbrough where, according to most speculation, he is set to return. As was the case last season, things haven’t quite worked out for the striker who had been a target previously. He hasn’t started a game for us, making just six substitute appearances, and that covered the period when Sam Vokes was the only other striker available. He made his debut against Hull in September, coming on for Andre Gray, while his sixth and last appearance was at Manchester City on 2nd January when he replaced Scott Arfield. In total, he hasn’t played much more than half and hour at Burnley with his only goals coming in the Premier League Cup in home games against Watford and Cardiff. Middlesbrough will now hope to bring him in which will allow them to part company with Jordan Rhodes who is thought to be interesting Aston Villa. The Premier League rules permit a club to have no more than two players on loan at any time. As was the case two years ago, one of our two loans has returned to Chelsea, then it was Nathaniel Chalobah. With the other, Michael Keane, making his move permanent we had no loan players during the second half of the season.